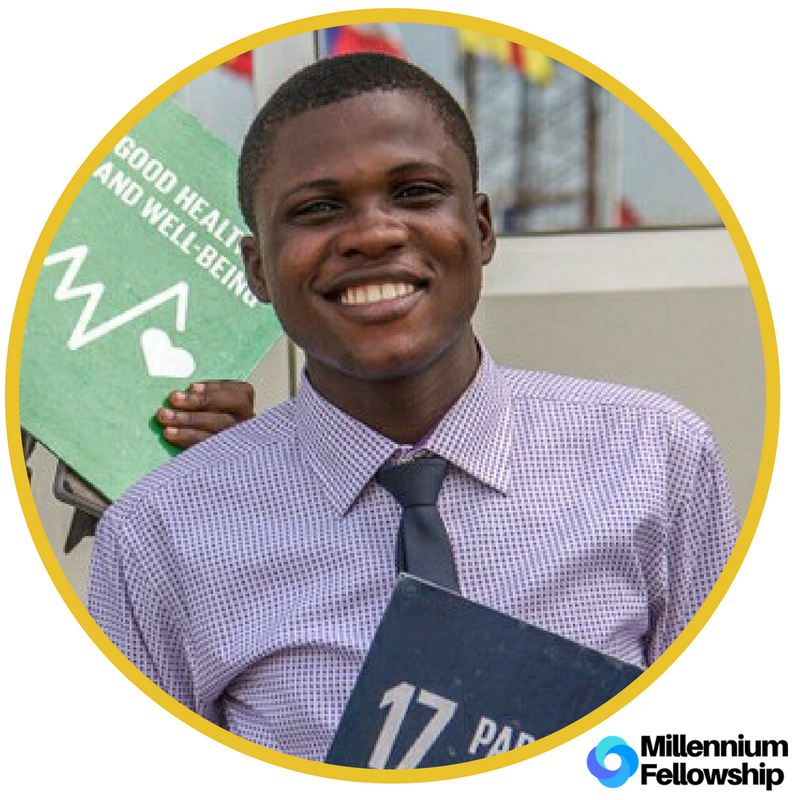 UNITED NATIONS ACADEMIC IMPACT AND MCN PROUDLY PRESENT ADEBIYI KEHINDE OREOLUWA, A MILLENNIUM FELLOW AND CAMPUS DIRECTOR FOR THE CLASS OF 2018. Adebiyi is a third year student of the department of Microbiology, Lagos State University. He is a young man with an innate zeal towards the academia and he has won some awards in respect to academic excellence. He is a Gani-Fawenhinmi Scholar, Jagal Foundation Scholar, University Scholar, Gospel Student Fellowship Academic Scholar of the year 2017, and a student member of the International Committee on Taxonomy of Viruses. Despite his interest in academics, his greatest wish is to serve humanity and as such he has volunteered in numerous initiatives such as SDGsACT Nigeria, Disease Awareness Campaigns, Action Health Incorporated, Climate Change Club and the current campus coordinator of SDGsACT LASU, Nigeria.